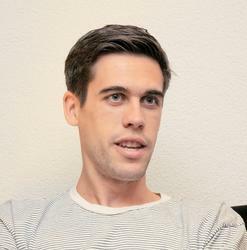 RYAN HOLIDAY is the bestselling author of Trust Me, I’m Lying; The Obstacle Is the Way; Ego Is the Enemy; and other books about marketing, culture, and the human condition. His work has been translated into twenty-eight languages and has appeared everywhere from the Columbia Journalism Review to Fast Company. His company, Brass Check, has advised companies such as Google, TASER, and Complex, as well as multiplatinum musicians and some of the biggest authors in the world. He lives in Austin, Texas. After launching Growth Hacker Marketing: A Primer on the Future of PR, Marketing and Advertising I've had a lot of executives, marketing students and budding entrepreneurs ask about how to exactly apply growing hacking to what they're doing. I know the real way to learn, is to do it. Ideally it's set up as some type of apprenticeship program where you can work with someone experienced who knows what they're doing. A lot of my Growth Hacker Marketing Primer was focused on the mindset of growth hacking and each of the steps you'll go through to iterate. Many struggle with this initially: how do I apply these new paradigms I was learning? So to help bridge the gap, I decided to create a way to interact with the content that's a bit more interactive–a place to get your hands dirty, a course. Now part of this is a bit selfish actually. I think publishing and the way we interact with content is changing, so I'm excited about the possibility of courses as a way to increase the actual ability to see the impact of what I'm doing rather than just seeing some Amazon reviews. Creating my own course gives me that ability to be really analytical about what content you're actually engaging with in a much easier way. When I first launched Growth Hacker Marketing, it started as a simple $2.99 eBook, which I later adapted into a full on published book. This helped me get a sense of whether there was actually demand for the book. "Pragmatic and actionable...if you're tasked with growing a company, you can't afford not to read this book." “Finally, a crystallization and explanation of growth hacking in easy-tounderstand terms—and better, real strategies and tactics for application." "Growth hackers are the new VPs of marketing, and this book tells you how to make the transformation." “Ryan's strategies and tactics will help every lean entrepreneur trying to grow their business and master the art of marketing and growth." "This book is a wake up call for every marketing exec in the business. And a tutorial for engineers, IT, founders and designers. Read it." "Ryan captures the power of the growth hacker mindset and makes it accessible to marketers at companies of all types and sizes. If you don't see a boost in results after reading this book, something is wrong with your product." "Finally, a crystallization and explanation of growth hacking in easy to understand terms—and better yet, real strategies and tactics for application." Includes a free physical copy of the book (U.S. only) or a Kindle version if you're outside of the U.S.! - Up to 10, 2-month subscriptions to growthhacker.tv with 140+ hour-long interviews with growth thoughts leaders who've led efforts at companies like LinkedIn, Pinterest and Twitter ($98 value). - Notes and interview materials Ryan used to write the Growth Hacker Marketing book and course. - Bonus video content focused on PR, marketing and advertising as well as other freebies. - 10 Physical version of Growth Hacker Marketing (U.S. only) and Kindle copies if you're outside of the U.S.
- Up to 100, 2-month subscriptions to growthhacker.tv with 140+ hour-long interviews with growth thoughts leaders who've led efforts at companies like LinkedIn, Pinterest and Twitter ($98 value).